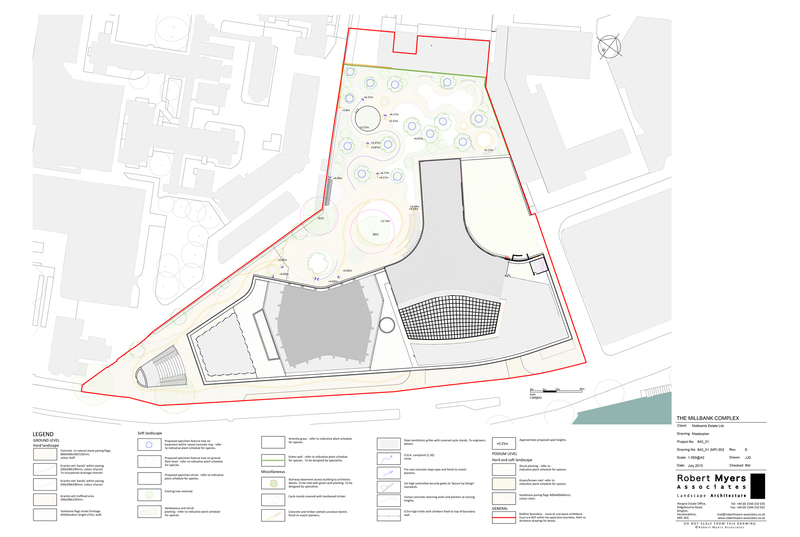 The gardens behind Millbank Complex are to be extended and renewed, replacing unsightly garages and creating a harmonious landscaped link between the refurbished buildings and their near neighbour in Millbank Court. 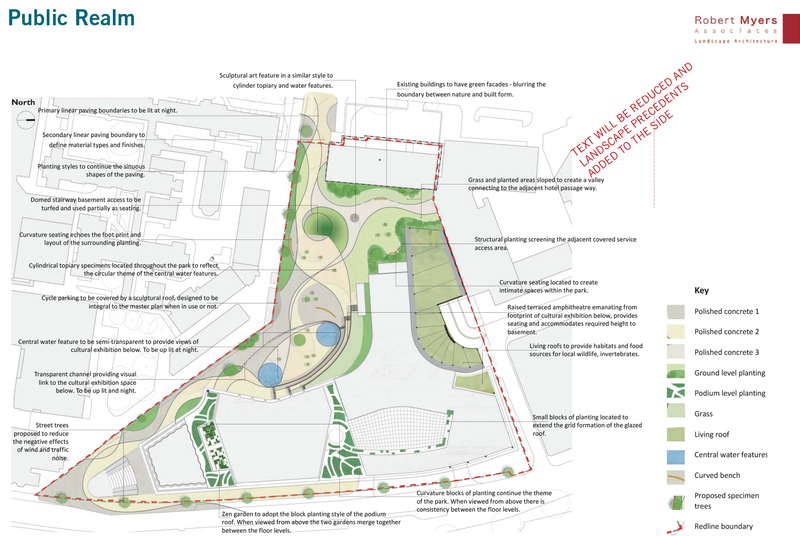 New planting, paving and lawns with seating and variegated topography will develop their current but underutilised potential as a green lung and reflective haven for the surrounding buildings. An elegant scheme to complement specific cultural uses has been envisaged. 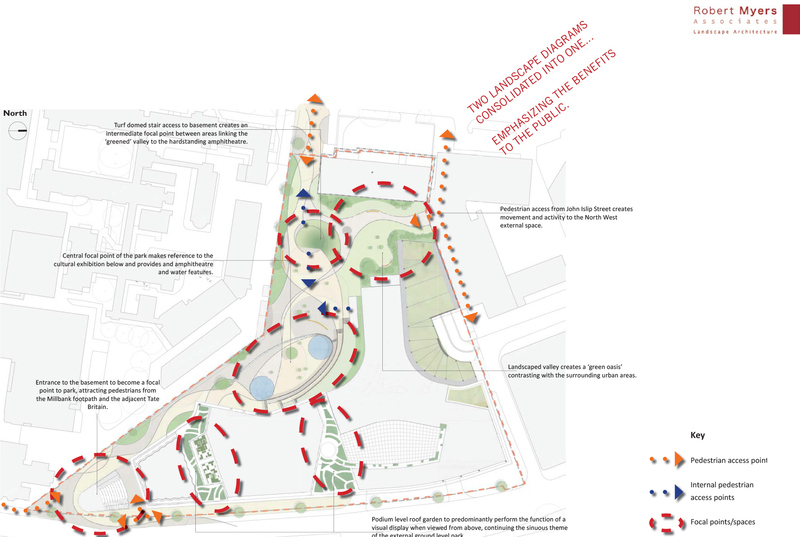 Options for cycle links through the site emerging to John Islip Street are a possibility depending on consultation and agreement with various stakeholders. Use of the gardens by local residents and the public is also the aim with appropriate security measures and respect for the residential area forefront in the ongoing discussions.